Hi everyone. I am new here! Hello all. I'm JC, located in Chanute, KS. I'm 33 and work as a welder with the Boilermaker's Union. I'm new to the forum, but not to Moto Guzzis. My dad bought a 74 Eldorado Police Model in 1976, and ran it for about 30 years. My mother had (I believe) an 80s model 850T with a sidecar, and my sister and I grew up touring all over the country with them, when we would take our family summer motorcycle trips. 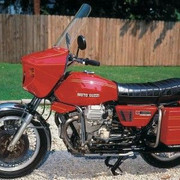 Some of my best memories are the open road and hitting all of the Moto Guzzi rallies we could. 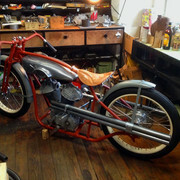 If any of you are in eastern KS, you may remember my dad's little shop in New Strawn, Sunflower Motorcycle. Anyways, after begging him never to get rid of it since I was 10 years old, he finally gave me his Eldorado, a couple of years ago. The first season was just getting it on the road (it had been in storage for about 10 years, so needed new fluids, battery, tires, etc.) and getting used to the bike. Last season, I did a bit of tuning and plenty of riding. Last weekend, I swapped out the old custom King/Queen double seat for a Cycle Garden solo seat and Harper's rear rack, added some new bags, and replaced the windshield top. Soon, I'll be retorquing the heads and a few other things, though that will wait until the next time my dad is around, so that he can guide me through it. I'll post more details and some pictures in the Restorations thread. So there's my introduction. I hope everyone is having a good start to their week and look forward to some great discussions about these wonderful machines. Velkommen! Single piece of advice. "Rev' it!". The engine doesn't like low rpm's. I learned this very quickly, when I first started riding her. It took a bit to get used to that and the slow, deliberate shifting these old Guzzis need. I had many a frustrating moment getting stuck between gears, before I figured out that you can't just rap up through the gears with quick clutching and shifting. Howdy. My name is Ryan, and I am a returning member. I have not been active here or the V11 LeMans forum since I was forced to sell my beloved Tenni in order to keep our house. After a decade (!) without a Guzzi, I have purchased a 2016 Stelvio. 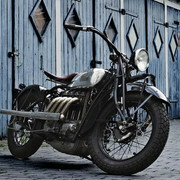 It took about a minute on the test drive to confirm that a Moto Guzzi speaks to me. So, I am back. I live on the slopes of Mt. Hood in Oregon, am now 55, and work from home in customer support for a software company in the automotive sector. Hi everybody. I am new to this forum. Welcome aboard, where are you located? What are you riding? Hi Ryan and all. I am also a returning member that has been gone for a few years. I sold my 2007 Cal Vin in 2013 before moving back to Chicago and have missed it ever since. Glad to be back this Spring with a new 2016 Eldorado (Red) and can't wait to be back on a Guzzi. Enjoy the Stelvio Ryan and the great roads you have! I´m Mads from Copenhagen, Denmark, Scandinavia. 52 years old, married, kids, work at the Royal Danish Academy of fine arts as a workshop technician. Toured for 20 years on my 1946 Nimbus all over Europe an North Africa. Met some Britons on V7ns in 1995 in the north of Spain and swore that one day I would get one of those big beautiful machines. Couple of odd bikes later I bought one. ´71 Special turned Ambo. Had it for six years now and absolutely love it! 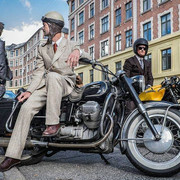 (So does my comfy wife, that never really got to pillion any of my specials..) Leaving for Sardinia in three weeks time, if I can get my head around the gearbox and all the other odds and ends I need to finish up before I go..
Pic is from the Distinguished Gentleman´s Ride a couple of years ago,- hard to hold that pose for long..
Nimbus as well as Guzzi!!! You must truly be one of a kind. 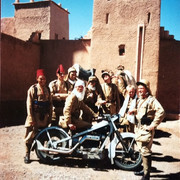 Well, some motorcycles are an aquired taste..
And some companions as well..
My name is Harry. Proud owner of a new-to-me V7ii. Coming back to riding after 30 years on four wheels. Engineer in my fifties. Located in Brisbane Australia. Yrs. last registered/inspected in 1980. My 2nd Convert, always regretted selling the first one back in 1985. Anyway, back to the gentlemanly Convert ride for me at my age of slowing things down! That is a nice looking Convert! Welcome to Wildguzzi. Yesterday got a V7 iii stok with 1500km. Looking forward. Firts impressions: Temperamental it "makes" you push it yet keeps it civilized if that makes any sense. Bem Vindo! Bien Venue! Welkommen! Interests are Motorcycles (mainly Italian), Guitar and fitness. Returned biker in 2006 from a young age. 2003 Moto Guzzi V11 Cafe Sport just purchased. Question ? Started the bike for the first time and major oil leak. The PO installed aftermarket amp-oil guages The plastic line to the oil gauge broke. I pulled the oil line sending unit and replaced it with a stock electrical unit but did not wire it in. Changed the oil... next time I started the bike.. the oil light came on and reminds on. ? It's a pressure switch. Needs to hooked up electrically to kill the light. Some else can explain. Hi! Retired after 37 years with US Forest Service. Cancer survivor (4 years). 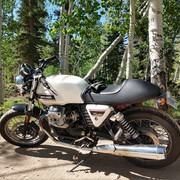 Guzzi ride is a 2010 V7 Classic; other ride is a 2018 Indian Scout Bobber. 14 years volunteering with Trees Atlanta to plant, maintain, and conserve trees and green space in an urban setting. Married with three grown children, one grandchild, two Cocker spaniels, and four cats. Hi, my name is Maynard Hershon. I live in Denver. I'm 77. I write a column for Motorcycle Sport and Leisure magazine in the UK. I wrote for CityBike magazine out of San Francisco for 30-plus years until the paper edition folded, sorry to say. I am buying Cam Conklin's V7 Special. I'm flying to Philadelphia and taking a bus to Atlantic City, where Cam will pick me up and take me to his house and my new bike. After we take a look at the OE parts he's replaced on the bike to see if I want them, he'll show me where the ignition key goes and tell me how to wiggle my foot to change the gears. I'm going to ride the V7 back to Denver via Skyline Drive and the Blue Ridge Parkway and perhaps the Cherohala Skyway and visit Bristol VA, where the earliest country music records were made. I plan to see friends in Ohio and Kansas on my way home. 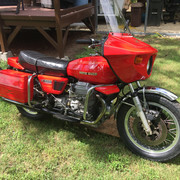 I bought my last Guzzi from Ed Brooks in San Jose in 1972, if memory serves. Probably time for another one, huh? Hey Maynard , when are you coming thru Kansas ? 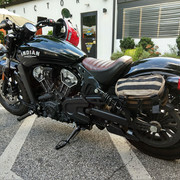 Dusty, I'm picking up my new bike on May third on the Jersey shore. I'm gonna ride two or maybe three famous parkways and scenic drives in the east, then I'm going to visit friends in Ohio and my family in Indianapolis. Gotta take maybe five days for the above. So I'll be leaving Indianapolis around the 8th or 9th, I think, and thinking about visiting my friends from the Four Stroke Singles Nat'l Owners Club in Hutchinson, KS. Where are you in KS? And, Dusty, thanks for asking! Fly 'n Ride. Gotta be good! You are welcome Maynard . Let us know what your plans are , sent you a PM .